HEY BABES! Today, I’m really excited to intro you guys to a new beauty app that truly speaks to innovation. Just to give you a little background, I’m generally always about keeping my nails in check, especially during the summer when I’m out and about taking pictures wherever I am (follow me on Instagram if you haven’t already!) or when I’m holding a marg or a new beauty product in my hand. 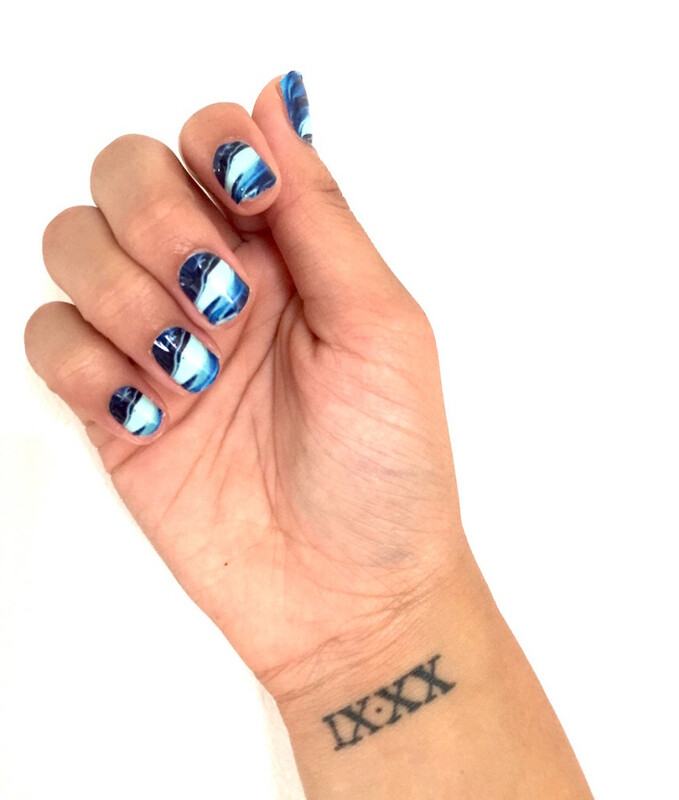 About a month ago, I decided to treat myself to a gel mani with some super cool nail art. Not sure if you caught them in my last two posts, but check it out here and here! Anyway, gel didn’t exactly do it for me when I realized they weren’t peeling off on their own, causing my nail to grow extremely long and therefore pretty unmanageable. Luckily, I met an alternative when LDiva asked me if I wanted to try out a new nail app, Make Me Nails. 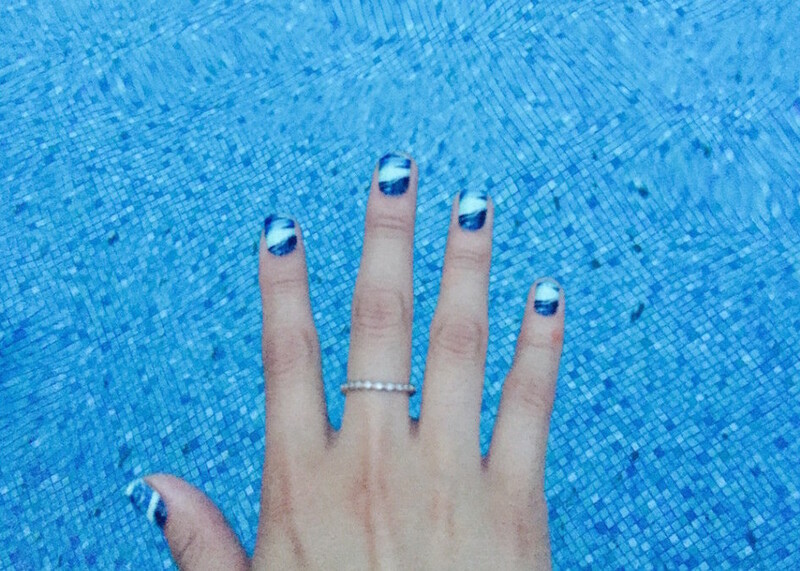 When I heard that it was a custom nail wraps app, I said hell yeah! Upon opening the app, a navigation tutorial conveniently popped up, making the rest of the process pretty straightforward. You can either choose from a library of designs – both solid colors or quirky patterns – or upload your own. (You can choose up to 10 designs total. )I chose the latter and was able to play around with several different wrap designs – a freedom I seriously enjoyed. About a week later, my personalized wraps arrived in the mail! 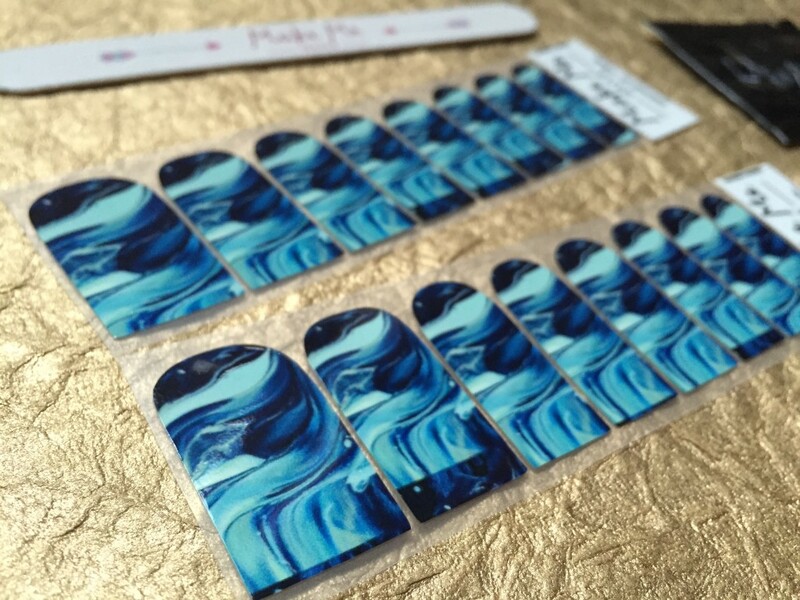 The package came including 2 sets of nail wraps of various sizes to fit each finger, 2 Minx alcohol wipes and a small nail file for application. Upon opening the package, I was extremely impressed with how well they came out – they were printed exactly the same way as the original image appeared, no loss of quality or anything. 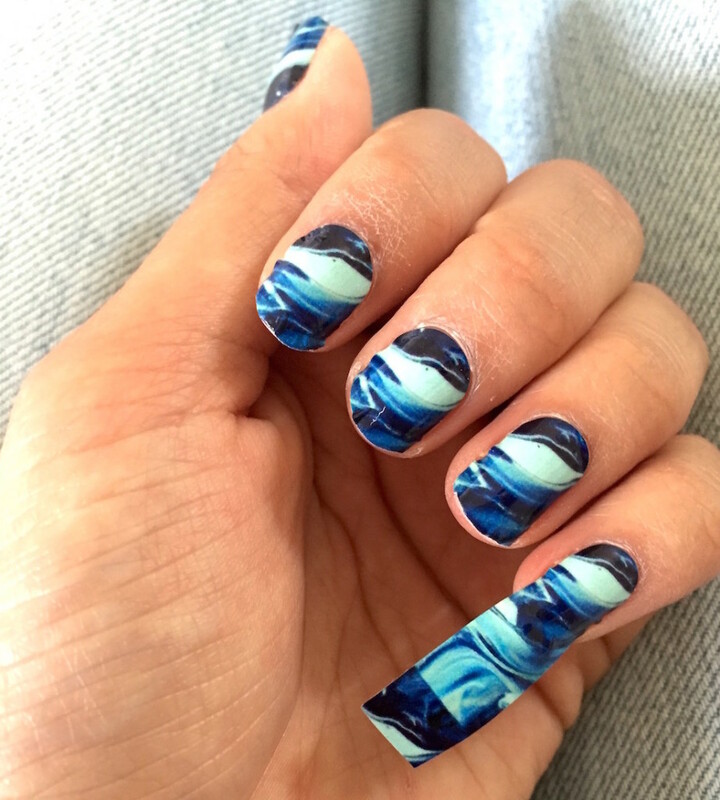 And best of all, these nail wraps were a product of something I helped create – not necessarily the image itself, but I can imagine how awesome this app would be for all you artsy fartsy divas that have strong Photoshop design game! Application took a total of about 20 minutes. The process itself was easy, but you also want to be precise about shaping the wraps to your nail! 1. Prep your nails. Push back your cuticles to give the wraps as much space to fill the nail. Clean the surface of your nails with the Minx alcoholic pads to rid of all the oils. File and shape your nails as desired. 2. Prep the wraps. Be sure to sure to choose which size fits on which nail ahead of time. Once this is done, take the sheet of wraps and rub them in between your heads to warm. 3. Apply the wraps. One by one, peel each wrap off and apply to its appropriate nail, pressing firmly and smoothing it out to the outside edge of your nail. If you experience any creasing, carefully lift up the wrap slightly and smooth again. Before moving on to the next nail, I recommend warming up the wraps each time. 4. File down the wraps to shape to your nail. As you can see in the photo above, the wraps are designed to extend as long as your nail might go. Use the file included in the wraps kit to file down the excess while also shaping it to your nail. T H E C O O L E S T! Plus the best part – I was able to zip right out of the house as soon as I was done applying these bad babes! #NODRYZONE. Unfortunately, these nail wraps didn’t last me beyond 3-4 days. I missed the note in the instructions to warm them back up with a hair dryer if they were starting to peel apart, but I think if I had the chance to, I would definitely apply a clear top coat to ensure a much longer stay. 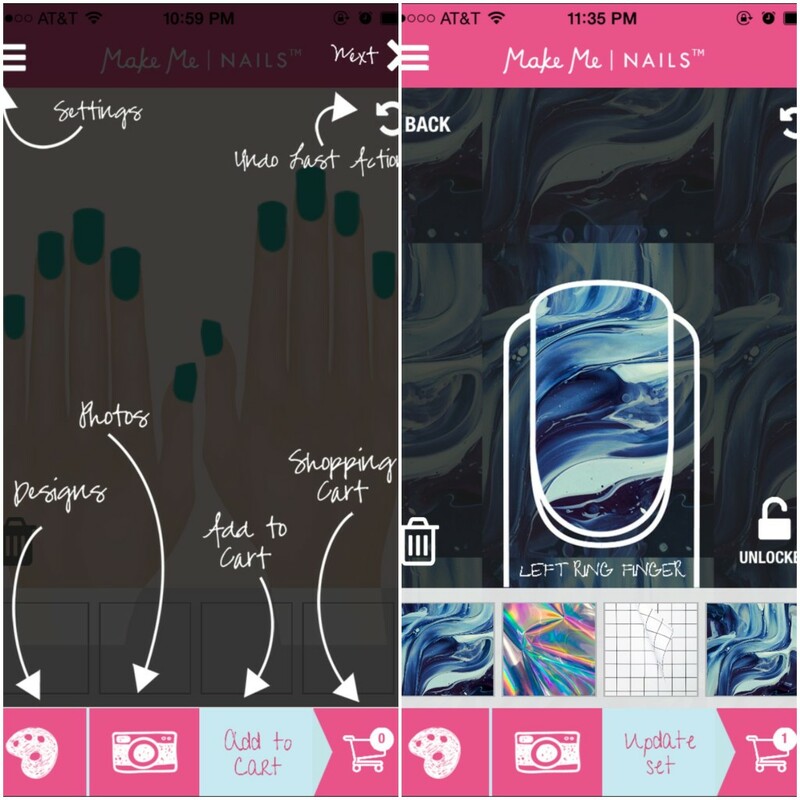 So if you’re in love with nail art but don’t have the money to dish out for a $70 gel mani BUT you do have a smartphone and a creative mindset, totally take advantage of Make Me Nails! A full set costs only $18. And you’re the creator of your own mani, so you for sure won’t be disappointed. Note: This post is not sponsored. Products were provided for review. All thoughts are unbiased are my own. All photos are my own unless otherwise stated.